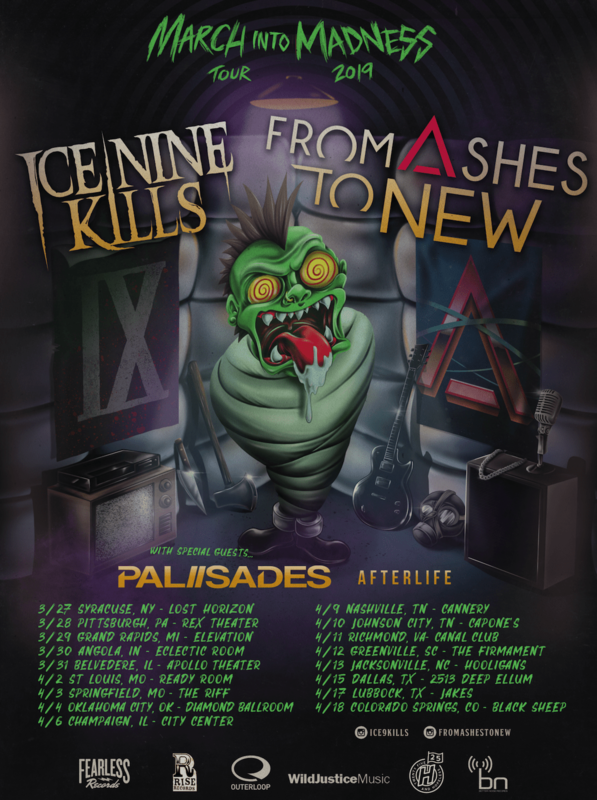 Ice Nine Kills and From Ashes to New will embark on a co-headline tour this spring. The “March Into Madness” tour runs from March 27 to April 18 and will feature special guests Palisades, Afterlife, and HAWK. All dates are below.